Saltash.net is delighted to have taken part in a pilot project organised by Cornwall Business Partnership and GHQ Training, helping to provide fantastic opportunities for our students. 30 students who had previously expressed an interest in doing an apprenticeship after their GCSEs were selected to be involved, with the project providing an insight into the necessary skills and qualities required. The focus of the project was the Junior Business network event, where students got the opportunity to meet with local businesses and share their future goals. 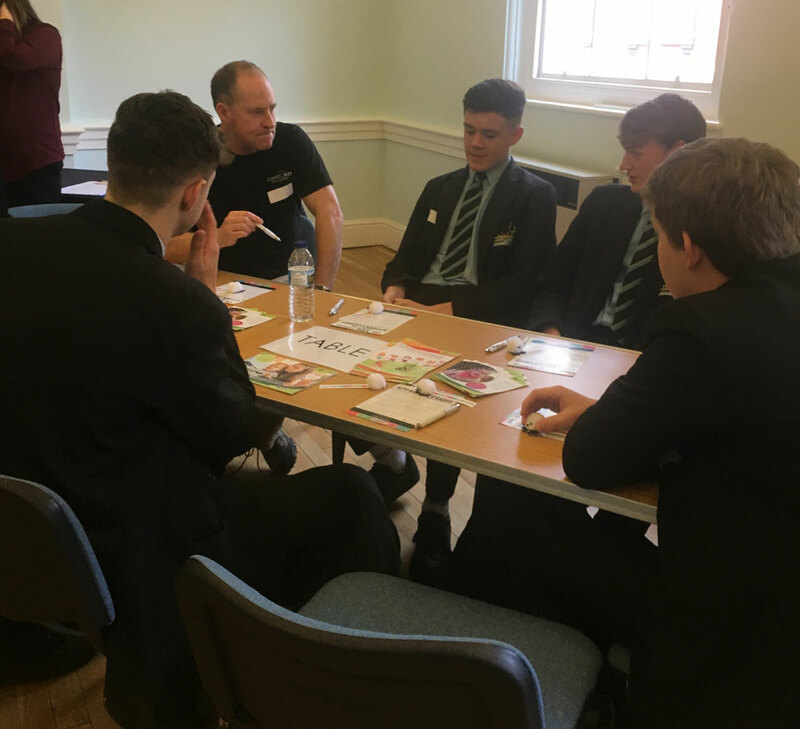 To prepare for this, the project began with a training session with Jay Marriott, Employment Engagement Officer at GHQ, outlining the importance of networking events and the opportunities it provides for students to build contacts. The session also saw students build their confidence through activities that emphasised the importance of communication. The second element of the project saw students attend a networking event at Saltash Guildhall. Students listened to keynote speaker, Kevin from Apex Human Resources, who outlined the importance of getting the best out of people, and what our students will be able to bring to the changing slightly volatile working world. Following the keynote speech, students split into groups, where they held discussions with representatives from over 15 businesses, with each student presenting to them on what career path they wish to take in the future and what they are passionate about. All students impressed those in attendance, showing great confidence and professionalism. The afternoon ended with each business representative presenting to the room, before students and employers mingled, providing the perfect opportunity for our students to network and gain contacts and business information. Mrs Gue, Head of Careers at saltash.net, was delighted with the way the students took to the project. “As always I was incredibly proud of our students, who were excellent throughout and impressed all whom they interacted with. We will continue to build these fantastic foundations, ensuring that our students are well prepared for Post 16. It was a real success and will certainly be the starting point for similar events to follow,” she said.